Breakfast recipe - People who work hard or have a morning job they have a little time to take a breakfast but this is must to have breakfast for a good health. So what you thinking do you need a recipe that can be for a short time. Yeah we are giving four ways of breakfast recipe for one cup that will be more interesting and healthy. Here is what you'll need to do let see follow these simple steps how to do this breakfast recipes. In a bowl, add egg, milk, cheese, salt, and pepper, and mix. In a microwave-safe mug, place half of the cubed bread and desired amount of bacon and tomato. Place the rest of the bread and fixins and pour the egg mixture into the mug. Sprinkle with some green onions and enjoy! In a microwave-safe mug, place half of the cubed bread and desired amount of spinach and red pepper. Sprinkle with some tomatoes, if desired, and enjoy! 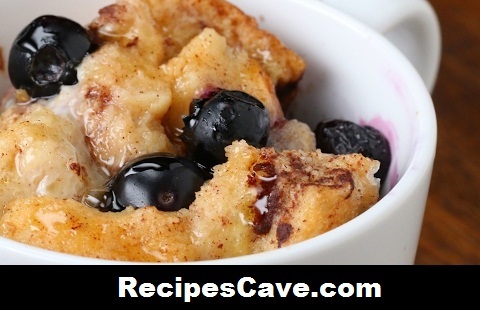 Place the rest of the bread and berries and pour the egg mixture into the mug. Drizzle maple syrup and enjoy! Place the rest of the bread and fix-ins and pour the egg mixture into the mug. Microwave for 1½ minutes or until egg is fully cooked. Top it off with whipped cream and chocolate syrup. You can choose any of them for your breakfast recipe.